A BOOK given to King Richard III as a teenager has gone on public display at Longleat for the first time since it was written 550 years ago. The rare signed book is part of a new exhibition which has opened at the Wiltshire house. 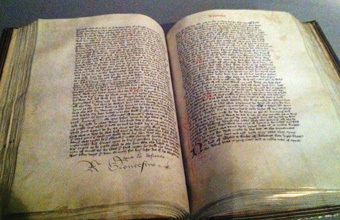 It is one of only 13 of Richard III's books known to still exist. As well as the book, the exhibition - The King's Body: Richard III King of England 1483-1485 - features portraits of the King alongside his two predecessors on the throne his brother, Edward IV and his nephew, Edward V as well as his successor Henry VII.